My favourite kind of people are those who are completely unapologetic for who they are. I think I envy their strength, awareness of their self worth and the importance of their own voice. I feel like those three things make the ultimate person, in my opinion and when I find people who possess them, I am completely in awe of them, especially women. I feel like we constantly apologise for being a certain way or possessing certain traits, which quite frankly I am sick of doing and seeing others doing it too. 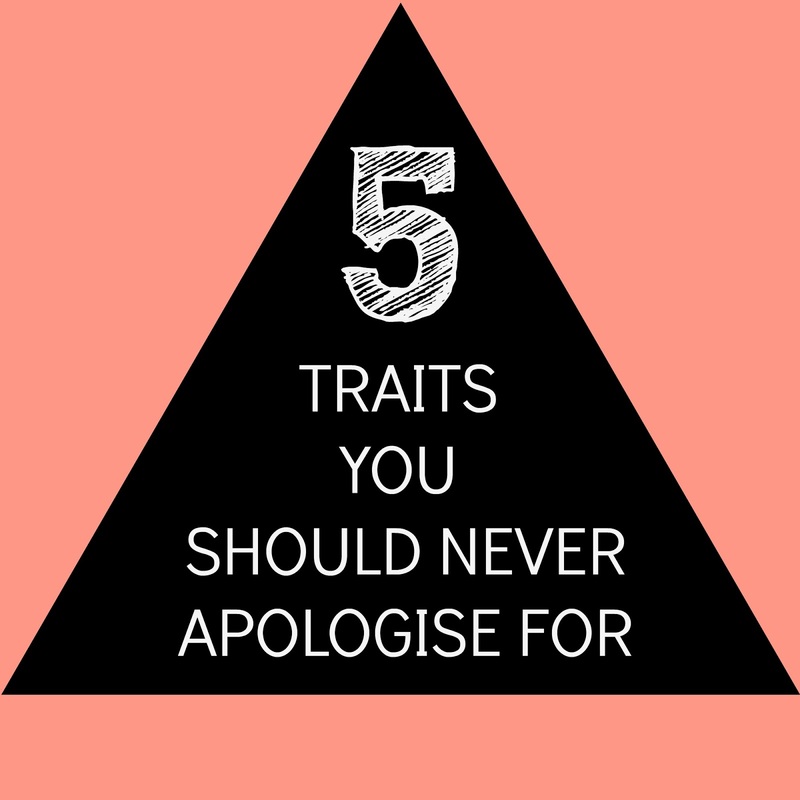 Today's post is all about not apologising for being who you are & 5 traits that you should be admired for not avoided. Something I know that is a love or hate thing with myself personally, is my passion to get my point across. A lot of my friends & followers on social media really respect and admire this trait and it's always the first thing people say they like about me, however there are lot of people in the blogging industry and beyond who don't like me for the very same reason. Personally I really enjoy the people in my life who challenge me and others, the people who question everything and will happily debate with others about their opinions and passions. Particularly on social media it's pretty clear from day one of following or meeting someone if they're someone who absorbs information or someone who challenges it and either way there is no right or wrong way to behave. I have been called obnoxious, bitchy and even a bully for expressing my opinions in the past, but how does my passion for opinion make me any of those things? Imagine a life where nobody challenged anything in life and culture. In my opinion there is no greater trait than being passionate about what you believe in, so stop apologising or holding back in fear that you will be criticised, your voice is as important than any other. Freedom of opinion is the greatest thing about social media, so don't be afraid to express yourself. As the old saying goes honesty is the best policy. Although honesty is extremely important for us to exercise, it can also be frowned upon in particular situations and scenarios. I never used to bite my tongue when it came to being honest about everything, but as I have got older I have learned there are moments in life where your honesty should only be expressed when asked for it and that is something that is extremely important, because lets face it the truth hurts. I will never apologise for or encourage others to apologise if the truth is worth telling, but often your honesty can land you on the over opinionated and bitchy list in people's minds. Never apologise but approach honesty with care, never tell lies but always pick your battles. I am a total dreamer and people often criticise me for this. People often say to me "just accept your fate." Why should I? Why should anyone just roll with it? Don't ever apologise for being a dreamer, there's nothing wrong with having your head in the clouds. Me & Justin are equally as bad with our unrealistic goals, we constantly set ourselves challenges that often we just can't see out, and often it's "I told you so" or "You think you're better than you are". I just feel like if you have unrealistic goals it encourages you to work harder than you ever knew that you could and what is wrong with that? Similar to the dreamer trait ask yourself again why should you settle for less? Don't ever apologise for having unrealistic goals, you are going to live once on this earth have unrealistic goals you never know what you may achieve. Often it can be seen as selfish and self centred when you prioritise your happiness above all others, but why should we apologise for this? There is absolutely nothing wrong with putting your happiness first when it comes down to it. This doesn't mean you immediately don't think about or help others along your journey but ultimately whether we admit it or not it's always in our best interests to help ourselves first. I don't envy people who can't prioritise the happiness of themselves and their families over their career or expectations of others, in fact I find it incredibly sad. There's something really admirable about people who always remember how important it is to be happy and make that a priority, again, we only live once, so never apologise for that. It's really interesting to see how different people express or defend their many traits, at the end of the day your traits are a part of what makes you, YOU and why should you apologise for being who you are? You just shouldn't. There are people in this world who will click with you instantly and there's people who you will repulse, but that's okay, the only trait you should never adopt is pretending to be somebody you're not, that's far worse than being over opinionated or a dreamer. 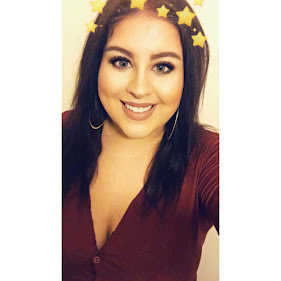 I hope you guys have enjoyed my post, feel free to reach out to me on social media or comment below if you liked this post. I also have a new parenting blog coming during May so look out for that & make sure you're following if you're a parent or parent to be! I love people who are unapologetic about expressing their opinion! I'm not really one to hold back when it comes to expressing my views and I understand it may offend people from time to time but I guess that's all part of it. I couldn't agree more with you, I am completely unapologetic for my honesty and my passion for things. Nothing wrong with being one's self. This is a great post and you're right on every level. Thanks for your comment and I am so glad you enjoyed the post! Literally everything you mentioned are things I feel like I have to apologize for all the time or at least things I get critized for.. it's tough to find the right balance I guess.